Welcome to Lac Kivu Lodge Expect a memorable luxury experience at the moment you enter the paradise that lies within the Lac Kivu Lodge located in Goma, Democratic Republic of the Congo. 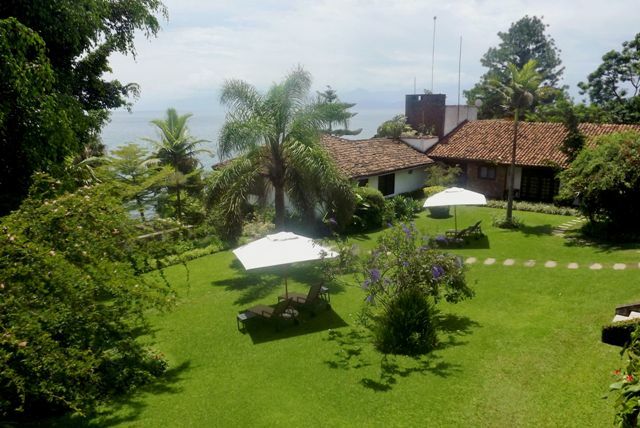 A beautiful property extensively renovated in lush tropical grounds on the shore of Lake Kivu with its privatponton. Lake Kivu is considered to be one of Africa's great lakes, and lies in the Albertine Rift Valley sharing the border of Rwanda, Uganda and the Democratic Republic of the Congo. The lake is surrounded by hundreds of hills and volcanoes. 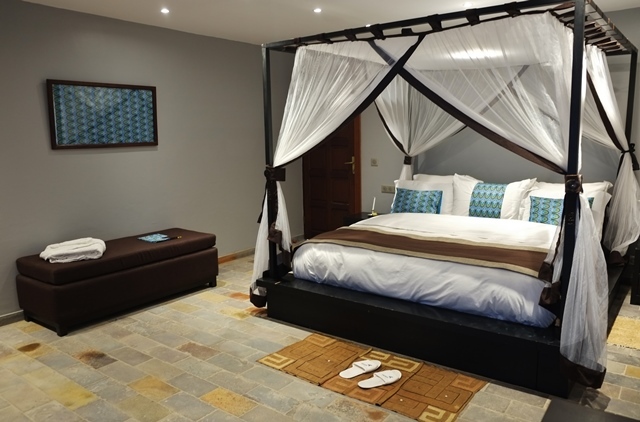 In the hotel, all 20 rooms have been delicately renovated in an African modern style. Some rooms have view on the lake while others overlook the garden, where honeybirds can be observed popping in and out of the colourful hibiscus flowers. 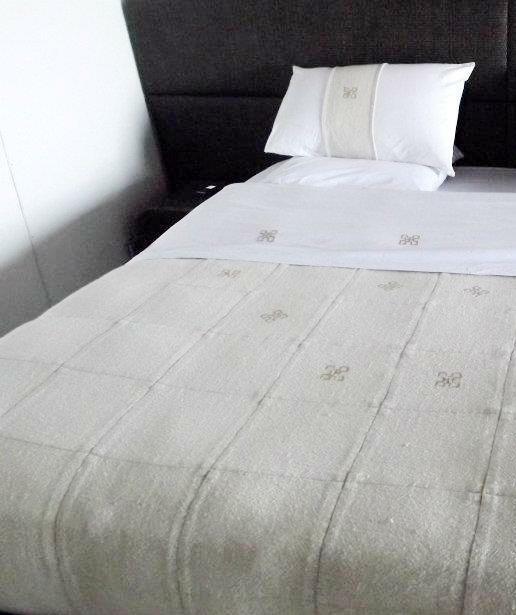 All rooms are equipped with modern bathrooms, Italian showers, Nespresso coffee machines, Wi-Fi and other items to provide comfort and well-being to our guest. You can also enjoy a stay at the Lac Kivu Lodge Guest House. Here the Standard rooms overlook the lake and the swimming pool. The access between the Lodge and the Guest House is currently under construction for a soon to be open Beauty and FitnessCenter . The accessories proposed in all rooms are identical to the ones in the Lodge. We take great care in keeping up with a similar comfort on both sides. No doubt one will appreciate the authentic local architectural display on this side of the Lodge. Lac Kivu Lodge Hotel & Guest House runs on discreet generators most of the time except at night after midnight. Electricity cuts may then occur until 5:30 am, creating Internet disconnection and water cuts. We wish to apologise in advance for the inconvenience this may cause you during that period. The restaurant is reputated for being the best table in Goma. One conference-rooms is at your disposition to organise workshops or meetings. It's the beauty of nature and the calmness of the place that affects the traveller upon arrival at the lodge. While in Goma, the serenity of this lodge with it's family athmosphere will delight you.